Melbourne: Tennis ace Andy Murray´s tearful announcement Friday that he´ll be forced to retire this year prompted a volley of tributes to the man, fond recollections of a historic career and encouragement to serve up a fitting farewell. Murray´s failure to recover from a long-term hip injury has put his dream to win next week´s Australian Open almost beyond reach. Argentina´s Juan Martin del Potro -- who fell short against Murray in a memorable 2016 Olympic gold medal game -- urged him not to throw in the towel. "Andy, just watched your conference. Please don´t stop trying. Keep fighting," he wrote. The sentiment was echoed by tennis´ women stars, who Murray championed -- famously rebuking a journalist for glossing over American greats like Serena Williams arguing for equal billing on the centre courts. 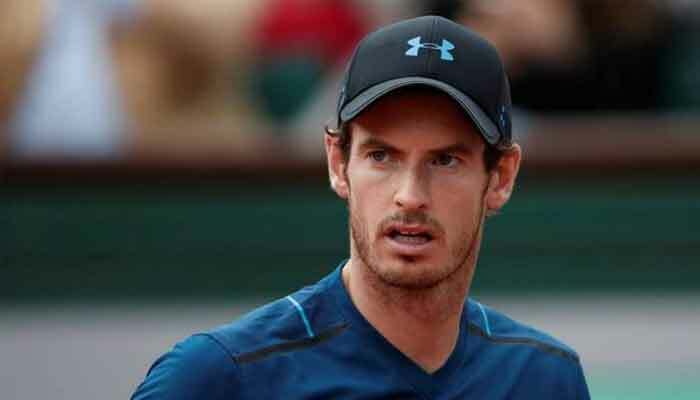 That sentiment was echoed by Belgian four-time major winner Kim Clijsters, who like many could not help but be moved by Murray´s emotional announcement. Murray´s status as the greatest British male player in several generations meant he carried the expectations of a nation onto the court. By meeting them, his impact transcended tennis. "He deserves his moment to say goodbye at Wimbledon. He´s too important to Great Britain and Wimbledon history to not have it," said Roddick. US Davis Cup captain Mardy Fish pointed to Murray´s famous determination, which helped him compete against stronger and more skilled players.